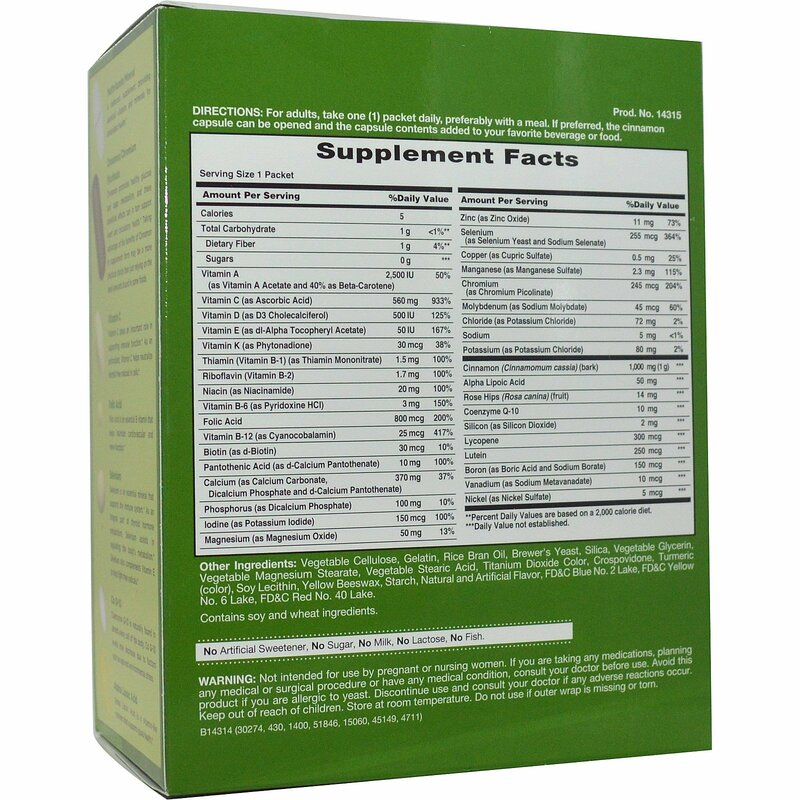 A balanced supplement providing essential vitamins and minerals for antioxidant health. Cinnamon promotes healthy glucose and sugar metabolism, and these beneficial effects can in turn support heart and circulatory health. Taking advantage of the benefits of Cinnamon in supplement form may be a more practical choice than just relying on the small amounts found in some foods. Vitamin C plays an important role is supporting immune function. As an antioxidant, Vitamin C helps neutralize harmful free radicals in cells. Folic Acid is an essential B vitamin that helps maintain cardiovascular and nerve function. Selenium is an essential mineral that supports the immune system. As an integral part of thyroid hormone metabolism, Selenium assists in regulating the body's metabolism. Selenium also complements Vitamin E to help fight free radicals. Coenzyme Q-10 is naturally found in almost every cell of the body. Co Q-10 levels may decrease due to factors such as age and environmental stress. 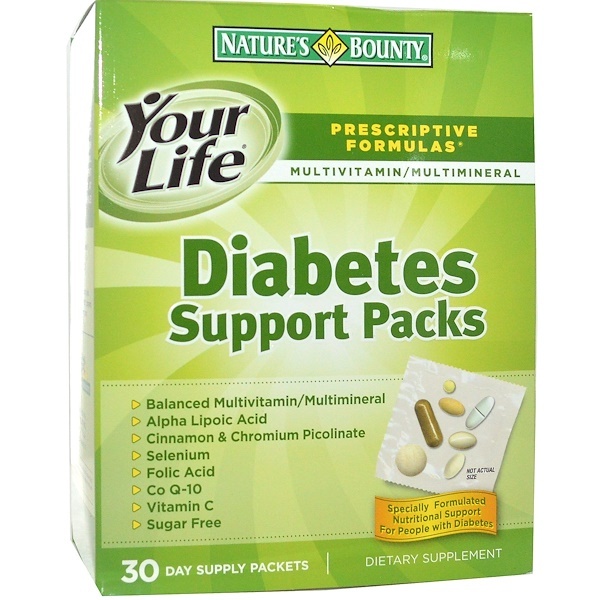 Alpha Lipoic Acid is a vitamin-like nutrient that supports good health. A complete nutritional program formulated to synergistically work together for optimal nutrition convenient individual packs to use at work, the gym, while traveling or at home. 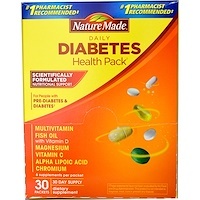 For adults, take one (1) packet daily, preferably with a meal. If preferred, the cinnamon capsule can be opened and the capsule contents added to your favorite beverage or food. Vegetable cellulose, gelatin, rice bran oil, brewer's yeast, silica, vegetable glycerin, vegetable magnesium stearate, vegetable stearic acid, titanium dioxide color, crospovidone, turmeric (color), soy lecithin, yellow beeswax, starch, natural and artificial flavor, FD&C blue no. 2 lake, FD&C yellow no. 6 lake, FD&C red no. 40 lake. Contains soy and wheat ingredients. No artificial sweetener, no sugar, no milk, no lactose, no fish. Not intended for use by pregnant or nursing women. If you are taking any medications, planning any medical or surgical procedure or have any medical condition, consult your doctor before use. Avoid this product if you are allergic to yeast. Discontinue use and consult your doctor if any adverse reactions occur. Keep out of reach of children. Store at room temperature. Do not use if outer wrap is missing or torn. **Percent Daily Values are based on a 2,000 diet.